Greetings from Bangkok. Turns out this is a real place, not just something that teenaged boys say before hitting each other in the balls. In Bangkok, everyone with a voicebox is trying to rip you off. There wasn’t really anywhere to put my bags either, so I just laid them in the middle of the two seats. I took a short nap sitting up, and then settled in to read for a bit. About 2 hours later, a small Thai stewardess walks up with a big Allen key and motions for me to get out of the way. 3 minutes later, there were two beds, top and bottom, laid out in front of me with small blue curtains almost holding back the light. There were even real pillows. I was amazed and grateful, so I tucked my things into the top bunk, and laid back down in the bottom. Again, SE Asia has made me realize that height isn’t always an advantage, as even my very average frame was at the absolute maximum to lay flat in the bunk. I had a little chuckle thinking about my 6’11’’ buddy Kiefer trying to lay in this bed… or hell, do damn near anything in this part of the world. God that’d be miserable. After settling in, I went to go grab some dinner on the dining car. Dining car was a bit of a scene, with the mandatory moaning Thai music videos playing and the staff smiling and dancing. When I walked in I was the only phaulong (foreigner) in the room. I got a Pad Thai and a Chang beer, and tried futilely to talk to the older Thai gentleman sitting across from me. We got through our names, exhausted our knowledge of our non-native language and finally settled with smiling at each other and tapping our beers for cheers about 5 times. He left, and two Westerners sat down next to me. I asked, “How ya goin’?” having picked it up from the Aussies, and we started to talk. After getting to where are you from, they replied Americans and I said the same. They actually thought I was Australian, which shocked me. Turns out they are from…Indiana. One had gone to school at Arizona State University, and I asked which fraternity he was in. When he replied Sigma Chi, I asked if he ever met an alum named Kyle Uminger, a pseudo cousin of mine who had been the president of that chapter. Turns out, he had apparently given a talk at the house while he was there. The world is a damned small place, evidenced today on a night train from Chiang Mai to Bangkok. Leaving Chiang Mai was bittersweet. As I left, I knew that I was leaving several good friends behind. 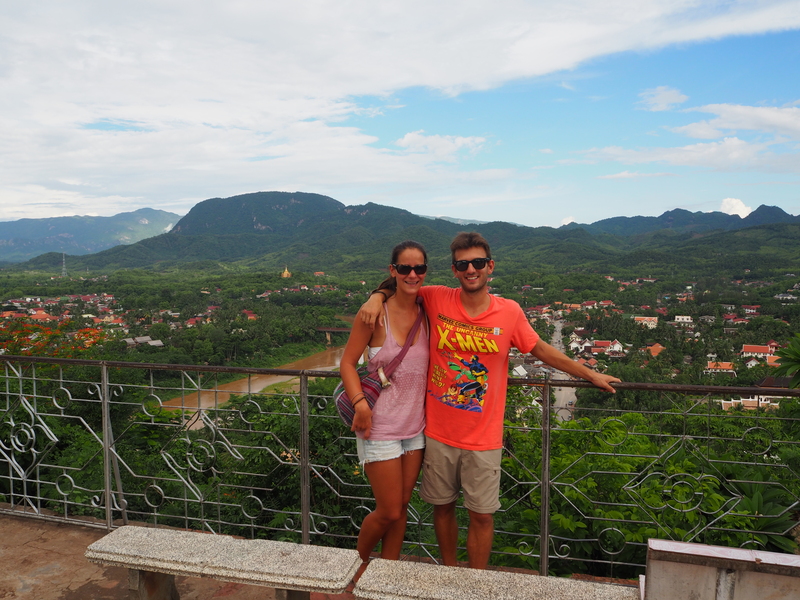 Luke and Wendy (of the Thaket/Kong Lor Cave adventure and motorbike accident) finally caught back up with me. Luke and I went and watched the USA/Germany game, and then said our goodbyes afterward. He’s headed back to Australia in a couple weeks, to have a cornea transplant and hopefully open a food truck in Brisbane. In a little over 3 weeks, we had some great adventures. From getting to Thaket in the middle of the night with nowhere to stay, with reports of Burmese body snatchers floating in and finally having a 10 year old kid take us to the neighbors, where he beat on the door at 2AM and told them to make us dinner. Finally some poor groggy man got out of bed and beckoned us in. We sat and laughed and drank beers while watching some old Champions League game. 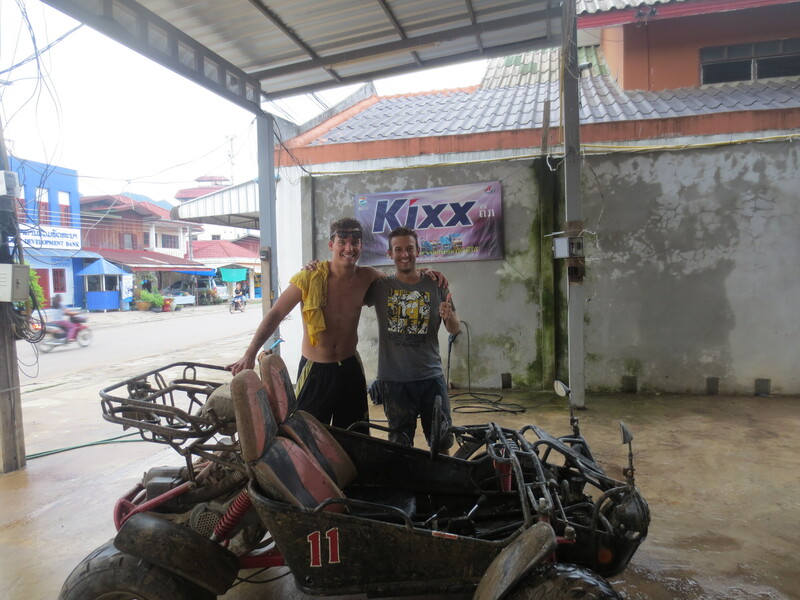 The next day was when we crashed our motorbikes during the 4 hour ride to Kong Lor cave. The night after that, we got into Vientienne in a pouring rain at 1:30AM and were promptly dropped off in an alley full of hookers by the least scrupulous tuk-tuk driver I’ve encountered yet. The following hour and a half was an unfunny comedy of errors before we finally found a hostel that would take us. I also left behind Fabio and Marlene, the German couple I’ve been traveling with for the past couple of weeks. We talked about a little bit of everything from politics, culture, language, movies, you name it. I can speak a very small amount of poorly pronounced German now (Marlene still thinks I have potatoes in my mouth,) and they know what phrases like “Hell in a handbasket” mean. I had a blast with them, and saw how a well functioning couple doing this kind of long-term travel operates. The mere thought of traveling with most American girls like this is enough to give me grey hair, but Marlene was a trooper of the highest order; a veritable mobile pharmacy which could produce anti-diahhera medicine, toilet paper, contact solution, and mosquito repellent out of a bag which didn’t seem large enough by half. They are headed to the Philippines from here, then back to Germany in a month after a full year of traveling from New Zealand through SE Asia. I promised that if I ever got to Germany that I’d stop in, and I’d imagine if Marlene has her way there will be a mini-Kraut padding around their flat if I wait more than a year or so. 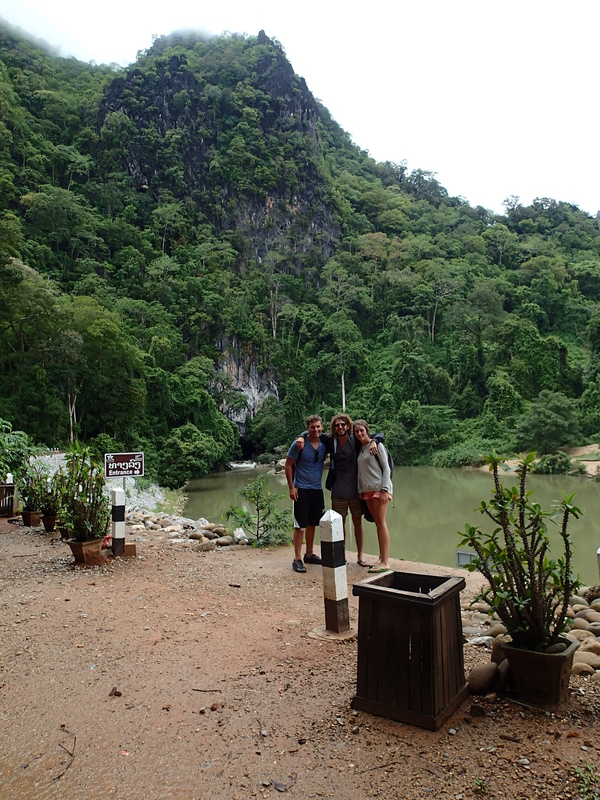 As I got off the plane in Krabi, I wondered who I’d meet as I got to my hostel. Turns out, there was a ready made crew waiting in the dorm room when I got there. Dutch girls, with their throaty accents and slightly amazing hair products (just in time for the Netherlands/Mexico game! ), a Welsh lad who was brutally offended that I didn’t know about rugby, and a parcel of English girls telling me all about their time in India. I have the feeling I won’t lack for company here either. That’s the beauty of friendships on the road. In a mere few weeks, I’ve had more unique experiences with these people than many that I’ve known for years. I know how they react under pressure and how chippy they get when they’re hungry or tired. I know how they deal with a legitimate crisis and how easily they can laugh off a “toilet” which is little more than a hole in the ground. I’ve seen them on mopeds and I’ve seen how well they barter with tuk-tuk drivers. I sat across from them when the transmission fell out of our bus in the mountains, and I saw the fear on their faces when we drove past a bus just like ours that had rolled off the highway on a rainy night to Vientiane. These friendships taught me things, both about others and about myself. So often we find ourselves squabbling with our friends in our routine lives, taking offense at this or that. None of it really amounts to a hill of beans, but we ball up our fists and get angry instead of just letting it all go. I’ve seen enough of the world to know that lives intersect for a reason. Hell I wouldn’t be sitting where I am today if a collegiate acquaintance hadn’t been dumb enough to stay in the biggest dump of a hostel in Amsterdam and struck up a conversation with a certain dingo kicking Australian. They traveled together for 5 months and thus began a lifelong friendship. That dingo kicking Australian ended up becoming my roommate when he moved to NYC, and since then I’ve been on 4 continents with him and consider him one of my closest friends. Thanks for picking a dump of a hostel Mr. Misamore, I owe you one. If it weren’t for an interaction that I was unaware of until years later, the Conquest would probably be sitting in front of 8 computer screens swearing at non-existent gold customers. Instead, I’m sitting on the 10th floor overlooking Bangkok, celebrating the start of my 4th month on the road. Friendships come in all different kinds. Some last for decades, others for only a few days. Appreciate them all and be careful about discarding them. The universe puts people together for reasons often beyond our comprehension. There are enough forks in the road that end friendships prematurely. Don’t be like the fork-throwing monkey in Battambang and put one there artificially. I can damn near promise that the issue you think matters so much isn’t half as significant as you think. Holding onto anger in one hand and a friend in the other, the choice seems pretty clear.